Writing is the easiest task when the words are flowing, but starting can be hard work. Especially when you are writing about real people, and crafting a family history certainly falls into that category. So how do you give your ancestors a voice when you never met them? And then how do you put yourself in their shoes to tell an engaging story of their life? Oh, the number of times I’ve paced the room debating those questions with myself! What was life like for them? What kind of challenges did they face? How would they have done day-to-day tasks? What world events impacted their lives? No, I haven’t invented the time machine, just developed an addiction to the internet and the library. Because there is a wealth of information available in photos, newspapers, and books for when you are researching your ancestors. These resources give us a window into different times and places, just like time travelling! While these may not precisely mirror the life of your ancestors, there will be many similarities, and there may be more than you think. I jump into doing these once I’ve finished the planning stage. 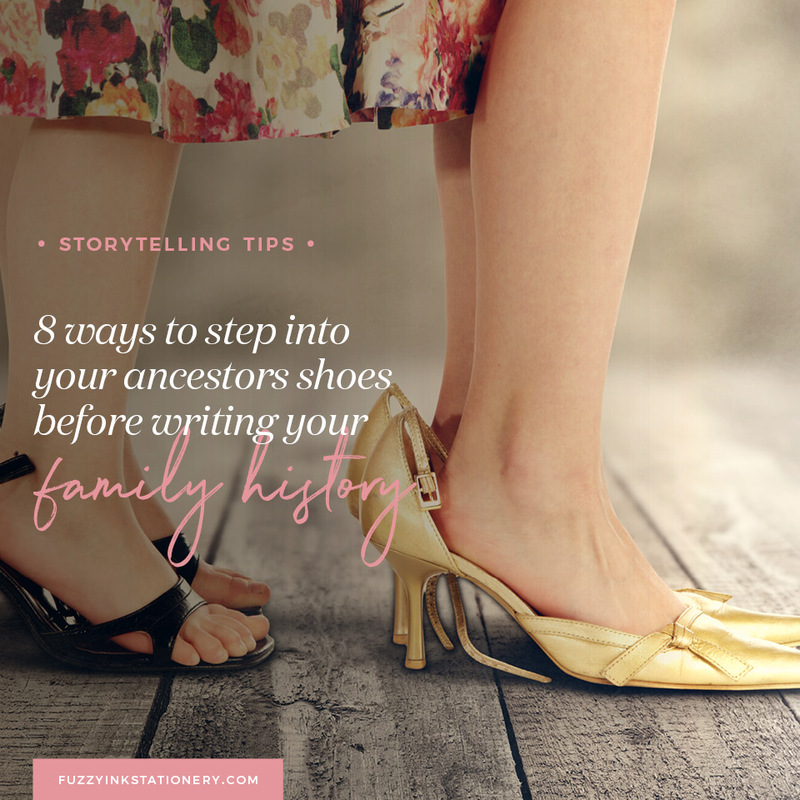 If you want to know more about that, head over to 5 planning tips for writing your family history. 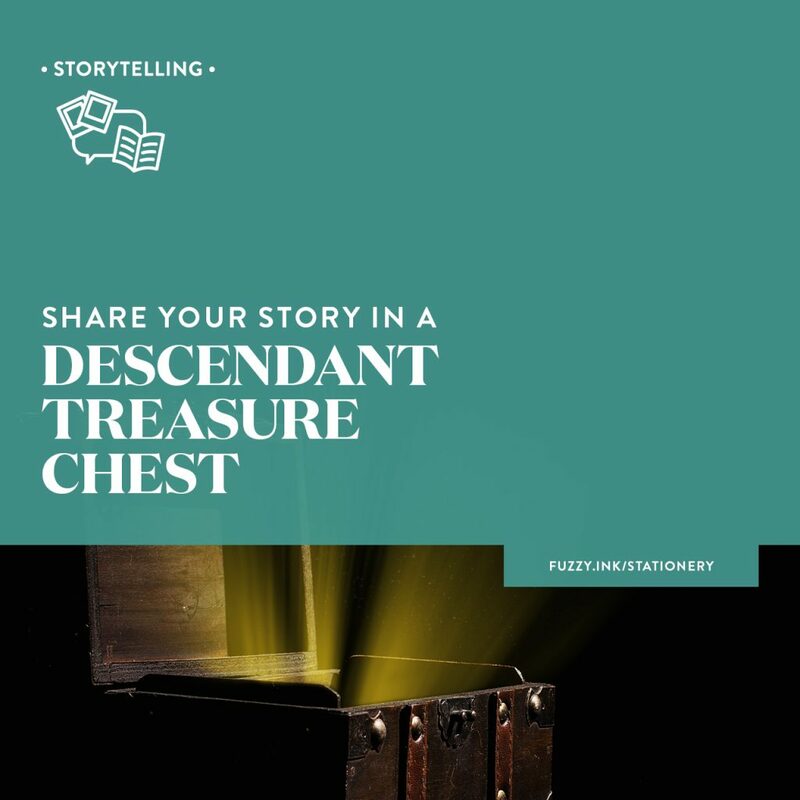 It’s another way to give you a head start before you start telling your ancestors stories. Why don’t you give it a shot? Below are my go-to exercises to step into your ancestors’ shoes. The list below contains all the tools I use to steps into my ancestors’ shoes. Because this is mostly a visual exercise, I use Pinterest as much as I can. I love Pinterest! It’s a fantastic way to gather visual inspiration for storytelling. Find it in the resource library, ready for download. If you receive my email updates, then you are a member so check your newsletter for the password. Otherwise, see the link below and subscribe to access. I’ve included a screen cap of one of my ancestors’ boards below. As well as Pinterest, I search and pin from Flickr, and on government or newspaper archive websites. See my tip at the end of the post about adding a ‘Pin It’ button to your browser. Copying the images and pasting into a Word, PowerPoint or Google Docs. Use whichever method works best for you. After all, the point of the exercise is to make things easier, not harder! Most of all, the idea is to put yourself in that time and place. and finally, write some diary entries from your ancestor’s point of view. Timewise this can be done in an afternoon. Or you might prefer to do one task a day or even a week. Some ancestors will need more research than others, but most exercises should only require a 30 to 60-minute time investment. Are you ready to start? 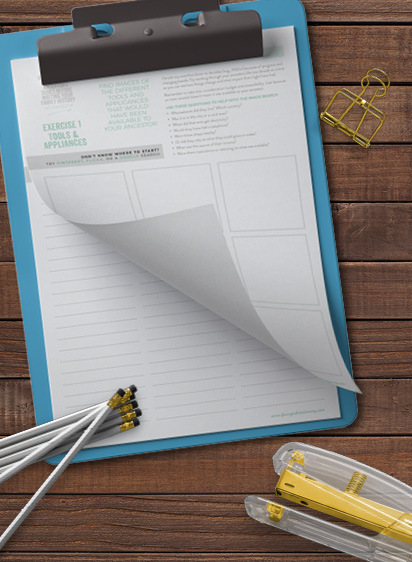 Download the workbook, open up Pinterest* and you are good to go. I’ve also broken down each exercise down in the list below if you need some more inspiration. I used Pinterest for this exercise. Firstly, I make a secret board for my ancestor and then create a section for Tools and Appliances. The next step is to add as many suitable images as I can find. I break my searches down to decades (e.g., the 1930s) because of progress and trends. Therefore I suggest that you try working through your ancestor’s life one decade at a time so you can see how things change and what impact that might have had. Whereabouts did they live? Which country? Was it in in the city or a rural area? When did that area get electricity? Would they have had a telephone? Or did they rely on what they could grow or make? What was the source of their income? Were there restrictions or rationing on what was available? Still using Pinterest, Add Another Section to your ancestors’ board and call it something like ‘Fashion’. Then, let’s go shopping. Shopping for images that is! Once again, I do this one decade at a time starting with their childhood. Then scour Pinterest and other websites for photos of what people were wearing. I find Flickr to be a great resource here as well. Pin, save or print all of the suitable images. Also, check your family photo albums for pictures from each era. How old was your ancestor at the time? Or did they make their clothes? What type of fabric would they have used? Don’t forget to include shoes! But remember that most people would have only had one or two pairs. A favourite money saving trick for children shoes was to buy them in bigger sizes. Then savvy parents would stuff the toes with newspaper so there was plenty of room to grow. If you are using Pinterest, like I am, then create a new section for Food. Now the research begins. Unlike appliances and fashion, what we eat may not change all that much during our lifetime. Today we take for granted that we can get any food, all year round, but that wasn’t always the case. Depending on the era you are researching, food may have been seasonal or region-specific. Also, consider what storage options would have been available and what types of food could be preserved and kept. As a result, availability was often the driving factor in what our ancestors ate. What types of food would they have purchased from a store? Were your ancestors able to grow, hunt or fish for food? Would they have had setbacks due to drought or flood? Were there food restrictions or rationing due to the depression or war? Perhaps you have family recipes or cookbooks? If so, that’s a great place to start. Look for pages with wear and tear due to overuse. That is a sign of a popular choice. Also, many cooks made notes of what the family did or didn’t like. Find recipes or images that demonstrate your ancestor’s relationship with food. Include meals and storage. Books, music, and movies can tell us so much about the past, as well as being the best time machine because they trigger our memories. They remind us of key people and events that have been monumental in our lives. Write down the number one hit or bestseller for each year in your workbook or a Word document. Was your ancestor was a reader or a regular at the local picture theatre? Or perhaps they never missed a local dance? My Mum tells a story about her father being a fabulous dancer. About how the ladies lined up to dance with him but he always saved the last dance for my Nana. Maybe you have an ancestor who was the same? Okay, so you may never know the answers for sure, but you can find out what was popular throughout their life. Which can be that is useful in painting a picture of the influences of the time. Create yourself a family history writing soundtrack and include all the big hits from your ancestors life. Lists of books for each decade are over at Goodreads. Or try a Google search (e.g., Bestselling books of 1935). You’ll find some great lists of films at IMDB lists. Another option is a Google search (e.g., Top movies of 1922). Have a look at Retrowaste for music (and other trends). They sort by decade which will make it easier to search. Also, give a Wikipedia or Google search a try to learn more. I fall down the research rabbit hole every time I do this task because I feel like I was there. Using newspapers is one of the best exercises to put yourself in the same time and place as your ancestor. Head to your local library or favourite online newspaper archive to find out what was news. Add the details to your workbook or print out a copy of any significant articles. How easy was it to access global news? Try to pick newspapers that would have been available to your ancestor. You never know, you might even find a mention of your ancestor! We all love a military ancestor because that means there will be records available. And maybe even a photo. But how would it have been to live through some of those events? As a soldier, a nurse or a parent? How did the major world and local events impact your ancestors? Therefore newspapers, google searches and any local history books will be the best source of information. Write it down in your workbook or on a notepad. Another option is to create a new bookmark folder and add everything you find. While the bad news is easy to find, remember life-changing events aren’t always terrible. Maybe there was a local lottery win, and it was your ancestors next door neighbour. Or your ancestor was a part of a team that found a lost child alive and well. There is also the chance that they might have attended local celebrations to honour the coronation of a new King or Queen. You’ll need your genealogy research for this exercise, specifically all of the residences or locations you have traced them too. If you have a Google Account, then you can do this online on Google Maps. And that is very handy if your ancestor moved halfway across the world! Otherwise, you can print out a map or use one you already have. Stick it to a cork board and mark the locations with thumbtacks or push pins. Make a list of addresses ready to add to Google Maps, or to assess how many maps to print out. Note every location, even if they weren’t there for very long. For example, my grandfather was a sailor who travelled the world, so I have a map that shows every port he visited. A map will give you the big picture of the distances they travelled, and where they lived in comparison to school, their job, church and shopping etc. Repeat to add all the locations that you have. Then zoom out and see the big picture of your ancestor’s travels. I love doing this exercise. It’s finally time to use everything you’ve discovered in your genealogy research and the last seven exercises. By now you should have an idea of what life was like for your ancestor. Of some of the major events that were happening around them, of the clothes they wore, and the food they ate. So it’s time to step into their shoes. Choose the time in their life that you connect with the best, then write some diary entries. 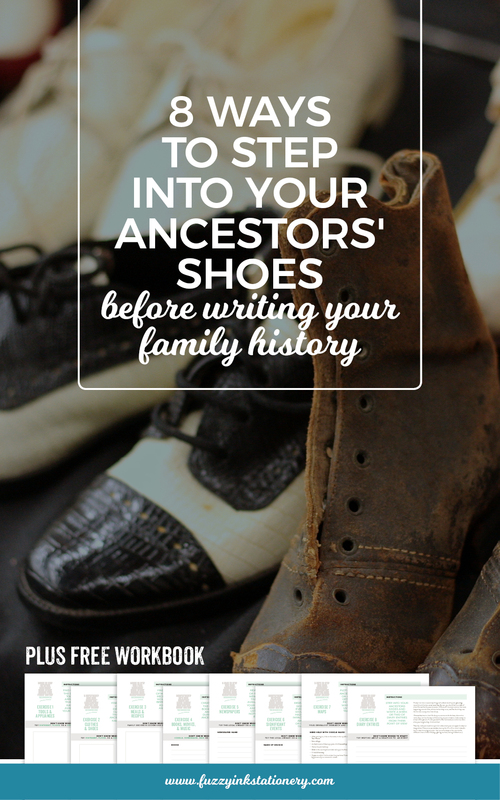 Since you’ll be writing as your ancestor, make sure you write in the first person. Picture yourself in their environment and write down what you imagine they think and feel. Well, maybe not their shoes but you should have a clearer picture of what life might have been like for them. 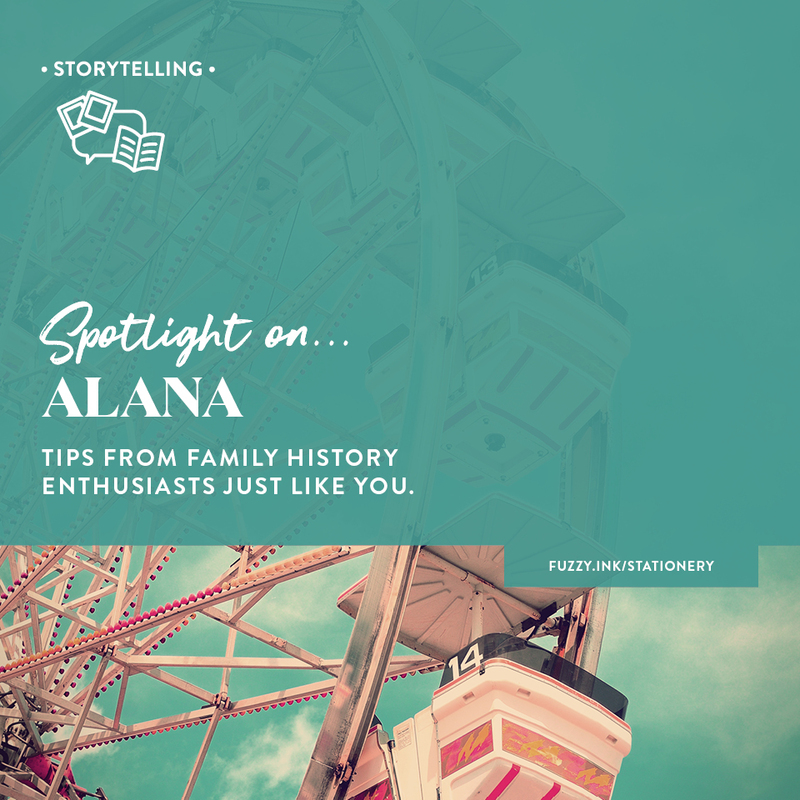 And best of all, you’ll be ready to tackle that family history writing task. Make sure you let me know what the results are. Drop me a note in the comments, send me an email or message on Facebook. Did the exercises help? Which was your favourite? Or least favourite? You can pin from most websites, not just what you can find on Pinterest. You can download a ‘Pin It’ button to your browser. Or look for the ‘Pinterest’ icon on a website or blog. Click the link below and follow the prompts to install as an add-on, extension or to your bookmark bar. The option available will depend on your web browser of choice. Visit the Pinterest Browser Button to add to your browser. A lot of websites and blogs will have a pin it button on the page. Add it to your board or a section of choice. Are you a Resource Library member? Click the button below to have the download sent to your inbox. Thank you for this. It’s always a challenge as to know how, or where, to start! Here’s hoping I will start now! This is gonna be my presentation this year at our family reunion! Thanks you so much for this idea! After so many years as family historian – I get stuck sometimes and feel I am repeating. Visual – yes – grab their attention! I will concentrate on our Grandparents and what their life was like at our age right now; we who are in our 50-60’s, we who are now the oldest living. I had been struggling for this year – thanks to your great article I now have a goal!!!!! ​​Get up close and personal with your ancestors lives. 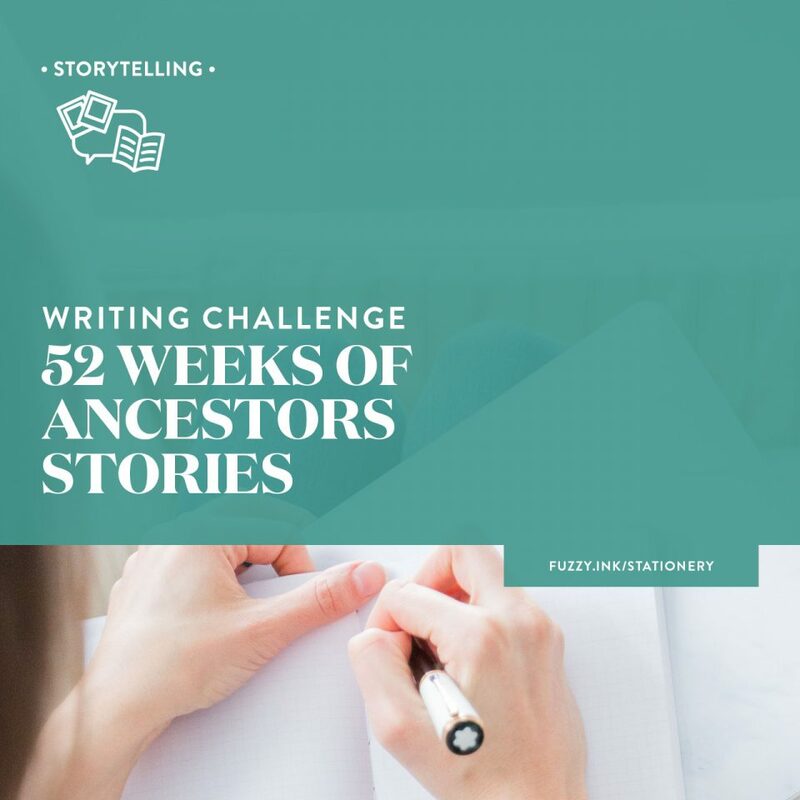 This FREE PDF workbook is the ​head start you need to get the big picture of your ancestors' lives. 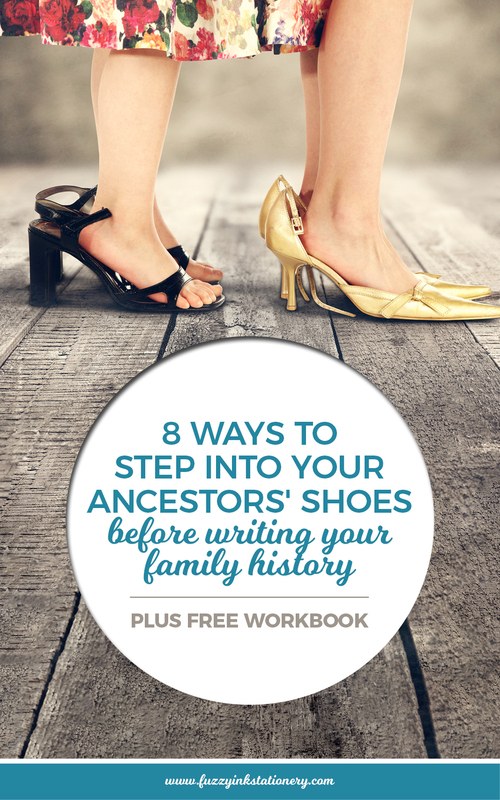 ​Try ​the ​8 ways to step into your ancestors shoes before writing your family history. ​​I'd like to hear more from Fuzzy Ink Stationery. Please send me email updates about genealogy and storytelling, templates, and training as well as ​any subscriber-only special ​offers.